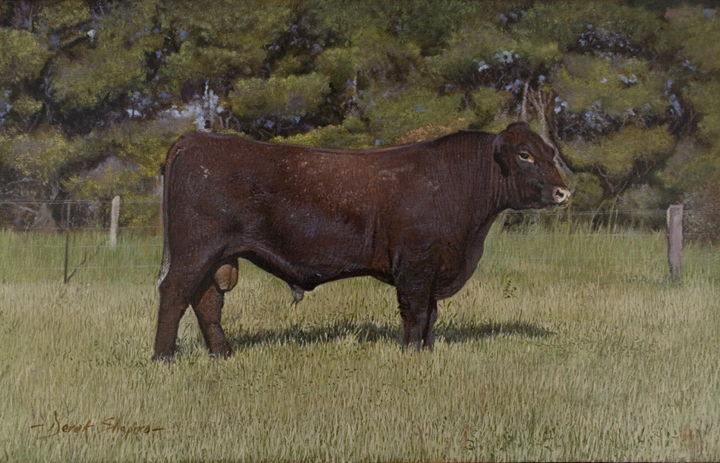 An oil on canvas painting of a Red Poll Bull, commissioned by The Inn at Huxley in Cheshire. This painting of the Red Poll will join other paintings of cattle which I have painted in the past. There are ten breeds of native British cattle, this being the Red Poll which is a cross of the Norfolk Red and Suffolk Dun.